This, on top of his recently renewed call for the twofer environmental and economic foolishness of a gas tax holiday, makes it clear, to me at least, where Senator McCain actually stands on the issue of global warming. Not to beat a horse I long sinced blogged to near-death here, but if you are even remotely serious about the issue of global warming (not to mention, being a “leader”) you don’t look for ways to encourage people to burn more oil. You can’t have it both ways (or rather, if you are anything but a straight talking, honest kind of guy, you can try, but annoying folks like me will point out the contradiction). So — for anyone tempted to back McCain because of his environmental commitments — remember the last time we trusted a plausible sounding, straight shooting kind of fella on this issue, look at the other promises McCain is making, and think long and hard when you find yourself all alone in the voting booth. 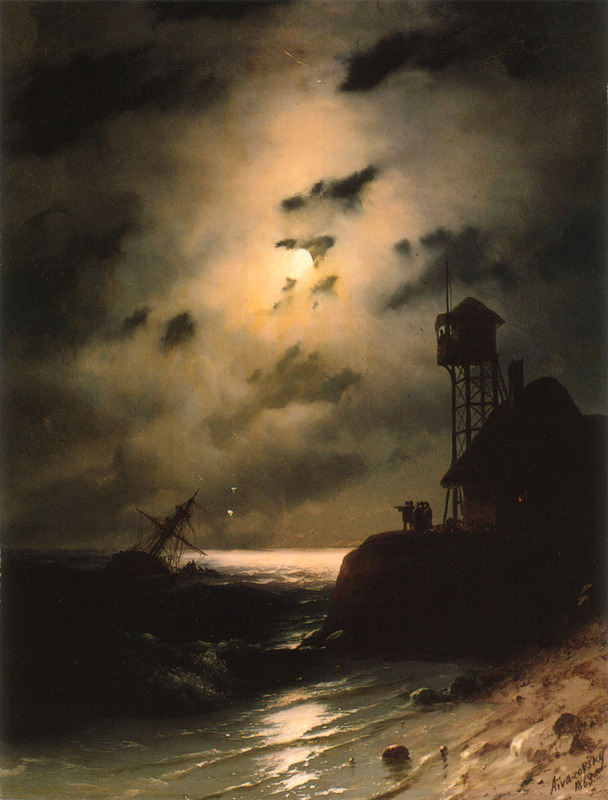 Image: Ivan Constantinovich Aivazovsky, “Moonlit Seascape with Shipwreck,” nineteenth century. Source: Wikimedia Commons. Explore posts in the same categories: bad ideas, Climate follies, Economic follies, Environment, McCain, Policy, Politics, Republican follies, Who thought that was a good idea? This entry was posted on June 18, 2008 at 11:53 am and is filed under bad ideas, Climate follies, Economic follies, Environment, McCain, Policy, Politics, Republican follies, Who thought that was a good idea?. You can subscribe via RSS 2.0 feed to this post's comments.